Wisdom from Elie: Day Two at Mashable’s Social Good Summit – the ajayi effect. Yesterday, Mashable’s Social Good Summit was took it up a few notches. The irony of it all is that the focus of most of the discussions involved offline engagement. Tennis great Serena Williams was named UNICEF’s newest Global Ambassador and tech giant Ericsson went into great detail about how SMS can be used to resolve some of the most pressing issues in the Horn of Africa. 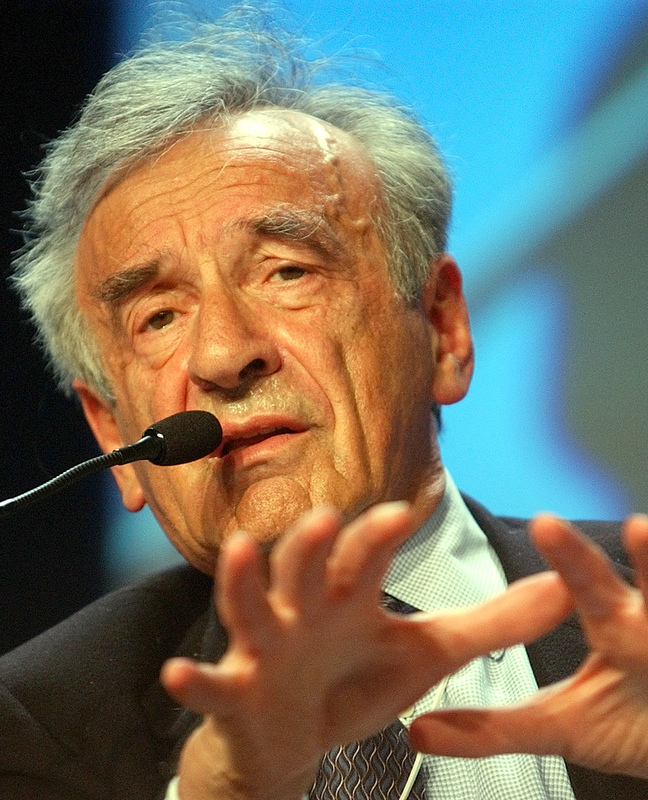 I will say the best insights came by way of Eliezer “Elie” Wiesel, President of the Elie Wiesel Foundation for Humanity. The 83-year-old Romanian-born Jewish-American writer is a professor, political activist, Nobel Laureate, and Holocaust survivor. Who has penned 57 books, including Night, a work based on his experiences as a prisoner in the Auschwitz, Buna, and Buchenwald concentration camps. When I say that hearing Wiesel speak today was an inspiration, it is because I have no other words to describe how I was touched . There is no substitute for reflection. A machine doesn’t think; a computer doesn’t have all the answers. We have to provide young people the instruments they need to learn, engage and become passionate. Everything that you do must be conducted with ethics including social media. Social media is a tool and a tool is neutral…it’s up to the users to help, not hurt, humanity. We are so eager to arrive where we are going we are that we don’t wait for passion. Nothing is worse for a child than for him to realize his parents are hypocrites. The respect & regard for the “otherness” of people, the differences they have, is foremost for humanity’s survival. I come from very far in time… I write everything with a pen. Social media can be used for good or bad. It comes back to the person using it. An inspiring time it was. To get more details about Day Two at the Mashable Social Good Summit, go here.